Sports facilities include a full-size, floodlit astro-turf pitch, an all-weather hockey pitch, three artificial grass tennis courts and, in nearby grounds, soccer and rugby pitches. School sports include rugby, hockey, soccer, athletics, tennis, basketball, badminton, cricket and volleyball. 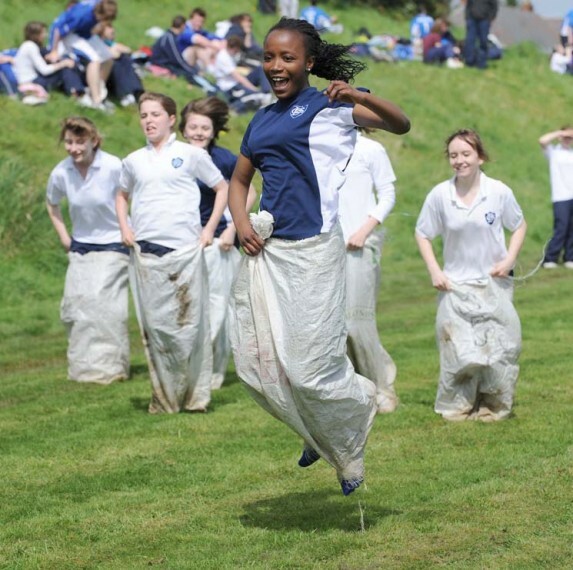 Transition Year activities are particularly varied and exciting and include sailing, horseriding, aqua-aerobics and gym fitness.